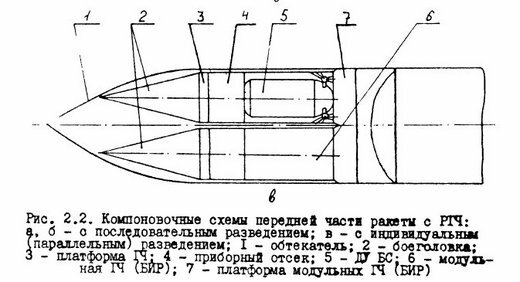 It appears that we have an answer to the question of what kind of "experimental warheads" were tested in the September 12 Yars launch. And a confirmation of a guess made on Twitter by @artjomh shortly after the test. The image above is from that post - it's from a textbook they use at the Bauman University. According to The Diplomat's Ankit Panda, Russia tested "an independent post-boost vehicle (IPBV) configuration for a three-warhead version [of the Yars ICBM]." The Bauman textbook calls it "an RV with independent (parallel) deployment." As can be seen from the image, each RV is sitting on top of its own mini-bus, which is different from a more common configuration, when one bus deploys RVs one after another. There is no doubt that this project was justified as a response to missile defense and it indeed could be an effective countermeasure, especially if an RV is attached to its mini-bus through most of the midcourse phase (which may or may not be the case). Even small maneuvers would make it difficult for an interceptor to catch the RV. But probably not impossible - a lot would depend on the divert capability of the mini-bus and the interceptor. There is no free lunch, of course. 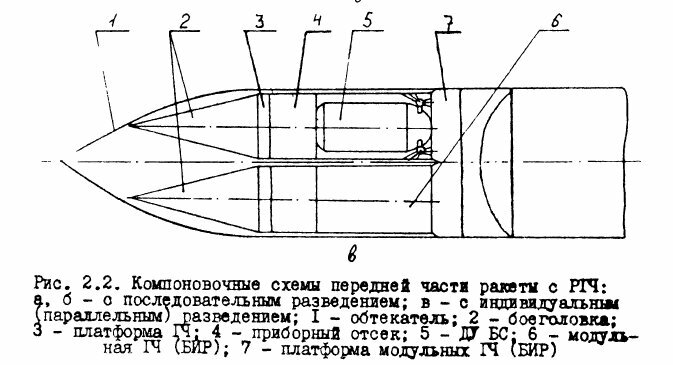 Small mini-buses are probably heavier than one big one, so a missile would carry fewer warheads - three in this case instead of four that Yars is believed to normally carry. And these three warheads are probably smaller (although it hardly matters unless you try to hit missile silos, which is not Yars' mission). On the balance, I think this could be a useful anti-missile defense capability, but it's not a game changer. As far as effectiveness is concerned, it's hard to beat an old proven countermeasure - more warheads and decoys. But it is also a good illustration to the futility of the entire missile defense enterprise - it is much easier for "rocket men" to come up with new ideas than for missile defense to find a way to respond. It would be a game changer to the extent that it would allow the RV to detach in mid-course of flight or post 3rd stage or for that matter even after boost phase ends and 2nd stage starts. ...all this doesn't say that it has been tested on September 12. 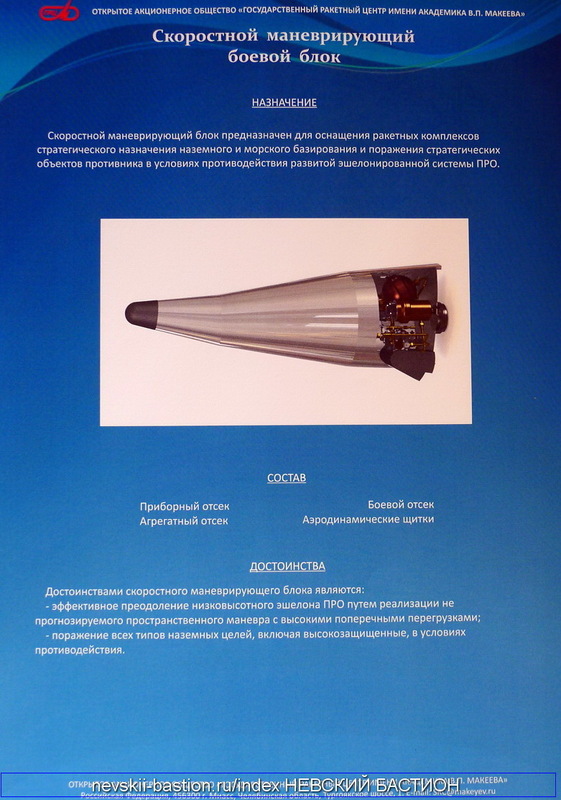 The Second RV picture is a MaRV/BGRV design albeit a more sophisticated one the tilted nose will allow it far greater cross range during boost gliding phase and manouveribility post re-rentry but that is not the same as Advanced Parallel Deployed Warhead which is a different system. On a closely related topic, Aviation Week just reported today that Raytheon is now pitching the SM3 Block IIA for ICBM interception through upgrades from additional funding, some of which has already been approved. This could ramp up tensions considerably if it goes through as the Block IIA is supposed to be the centerpiece of the European sites. - And the last question. Your assessment of the mobile missile complex "Rubezh", which is also talked about lately, including the occasional rise of accusations of violating the INF treaty ? - No, there is no violation. There were shooting, they demonstrated the ability of the rocket to overcome the mark of 5500 km and even more ... But I do not want to talk about it in detail. This is already private information.